These are our 20 most popular and inspiring vegan before and after stories from actual Happy Herbivore community members. Many of these people used our Meal Mentor meal plans to help them lose weight. 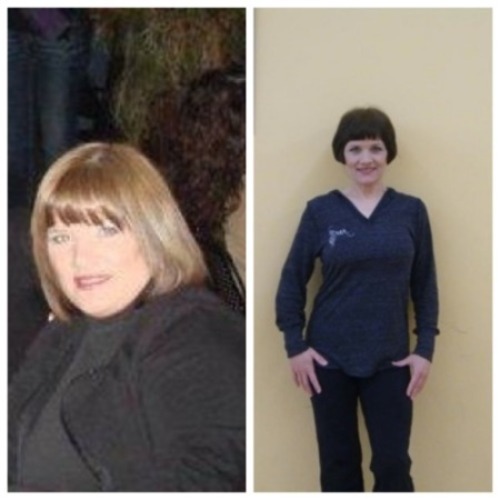 At 39 years old, Heather found herself an overweight smoker and drinker. She had arthritis in both knees, chronic back pain, an irregular heartbeat that required medication, shortness of breath, and she suffered from severe depression. When she received a 911 call that her husband had been admitted to the hospital with 90% blockage in all four of the lower half of his arteries, she knew that it was time to take her health seriously and make a change, not only for herself but for her family. When a co-worker purchased Heather some of Lindsay's e-books, she immediately started her research and decided to give it a try -- and the results were INCREDIBLE! 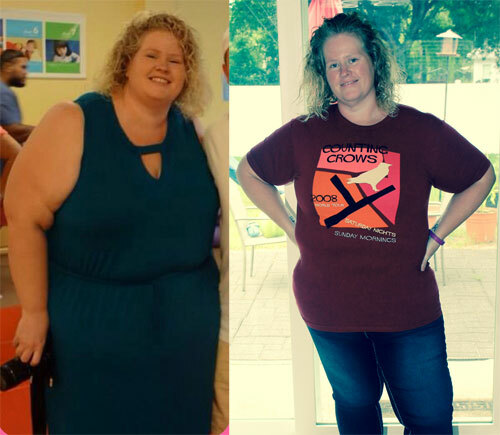 In less than a year, Heather lost 125lbs, she was no longer in pain, and was taken off her medication for an irregular heartbeat. 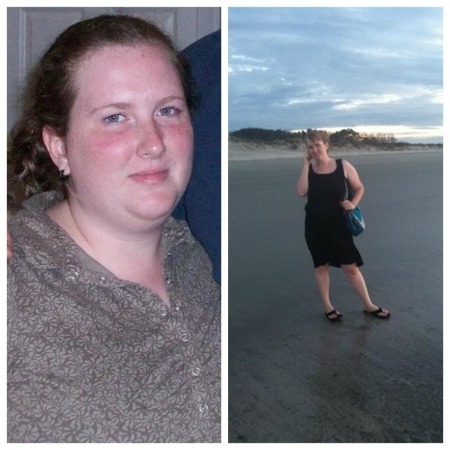 But the healthy change had a larger effect than just on Heather’s own life. Read the full story here. 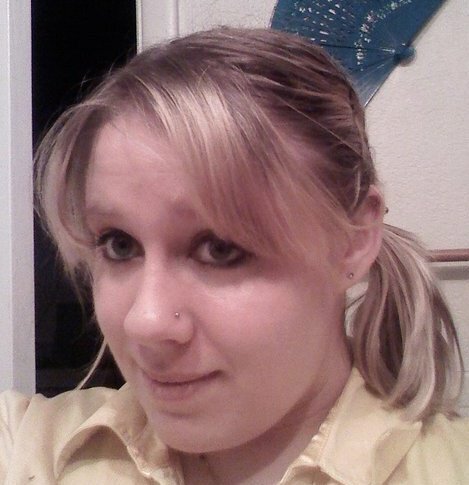 In January 2009, one month after a drug overdose, Bonebreaker was miserable. 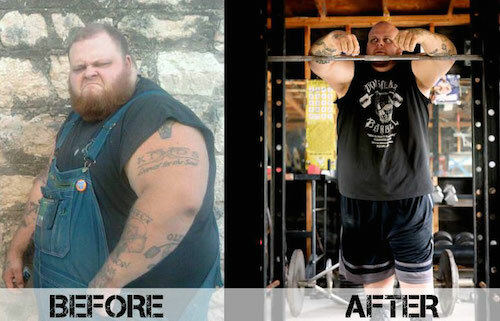 Experiencing excruciating pain from drug and alcohol withdrawal, he weighed almost 600 pounds! He soon turned his drug and alcohol addiction into a food addiction, spending over three hours at a time at Chinese buffets, often until he was kicked out. Days before checking himself into rehab he decided to make one final effort by attending a wrestling school. After spending, the next few years trying to put together the right diet to finally get his life back on track, Bonebreaker was introduced to Dr. Carney and her husband Sean. They educated him on a whole foods, plant-based diet that turned his life around in ways he’d never imagined! Read the full story here. Since puberty, Beth dealt with an irregular menstrual cycle, usually around 2 periods a year. When she had a period, it was awful. Her cramps were delitating to the point that she couldn’t move. Sometimes her periods were so heavy she would pass out. Eventually, she was diagnosed with Polycystic Ovarian Syndrome (PCOS) and dealt with the accompanying weight gain, acne, facial hair, and fertility issues. Beth was determined to limit her symptoms of PCOS without the use of medication. She also wanted to avoid diabetes, something that ran in her family. After just a month on a plant-based diet, her debilitating menstrual cramps went away and she experienced more results that doctors had told her would be impossible without medication. Read the full story here. Tara grew up on a typical southern diet of extensive meat quantities served with fried and starchy sides. Through her high school years, she was able to keep her weight down with gymnastics and an active lifestyle, but she began to struggle with her health after the birth of her daughter. Tara was dealing with constant headaches, depression, chronic constipation, fatigue, ulcers, sinus infections, and severe PMS symptoms as well as high cholesterol, blood pressure, and gastrointestinal problems. After becoming frustrated with her debilitating health and the ever-growing list of pills, Tara decided to visit a gastroenterologist. To her surprise, it was simply recommended that she switch to a diet of little to no animal products and high in unprocessed fruits and vegetables. 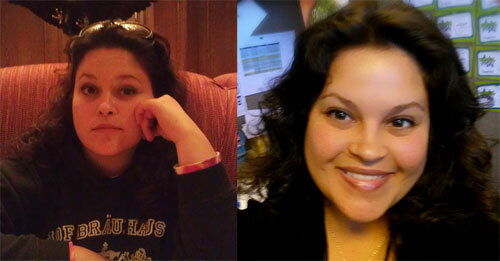 She almost instantly lost 25 pounds and decided to find out more about what the plant-based world was all about. Read the full story here. 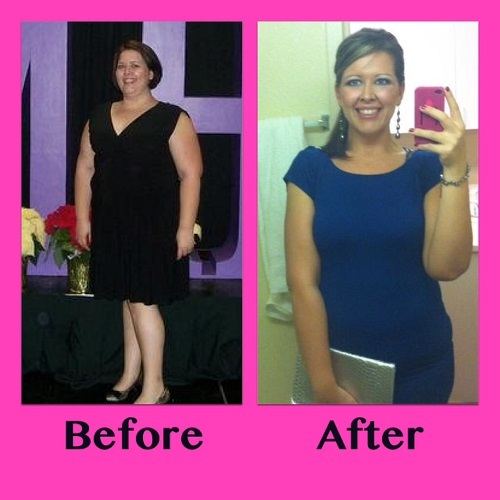 Like many people, Bethany’s weight-loss journey included a plethora of different types of diets. She’d tried various fad and crash diets. She watched her portions, counted calories, and more. By the time she was 23 she weighed over 230 pounds, her hair was thinning, her skin was spotty, she had constant headaches, and her mood and energy levels were rapidly declining. Later that same year Bethany’s brother shared a PBS special with her featuring Dr. Joel Fuhrman. She immediately ordered Dr. Fuhrman's plant-based book and never looked back from there! Read the full story here. Rebecca’s struggle with self-image goes all the way back to when she was 10 years old and decided to join Weight Watchers in hopes of losing weight. Her yo-yoing battle with weight continued up through the birth of her son when she had reached 275 pounds. Just moving around had become a painful task. She decided that she needed to make a healthy change and eliminated dairy and land animals from her diet. 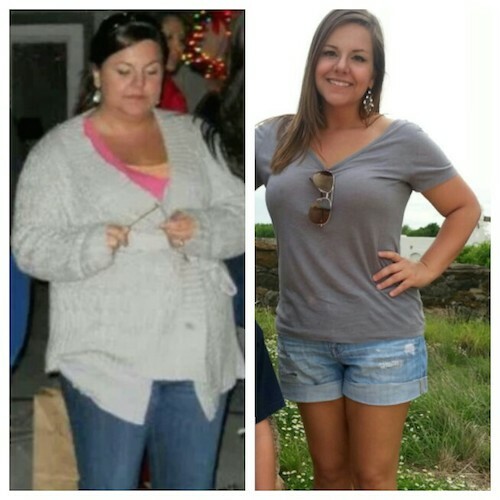 As she continued down the road of plant-based living and began seeing results, Rebecca’s stepmother gave her a copy of Lindsay’s “Everyday Happy Herbivore.” She loved it so much that she then purchased “The Happy Herbivore Cookbook” which launched her on a journey that resulted in losing 150 pounds and so much more. Read the full story here. Elicia was a victim of bullying that continued well into her adulthood. She found herself in the midst of bad relationships and a bad marriage. The difficult circumstance and bullying made her resort to stress eating. 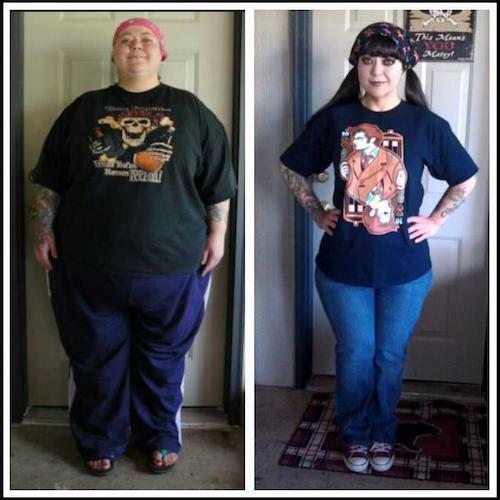 Her health spiraled out of control as her weight reached almost 500 pounds. She decided to move herself and her children to her parents' house where she rarely went outside and was only able to walk with crutches. When her parents tried out a juice cleanse, Elicia figured she it was worth a shot and was amazed. She lost 50 pounds in under 50 days! She and her parents decided to continue their weight-loss journey together by adopting a plant-based diet. Read the full story here. Amy was raised on a vegetarian diet and maintained a low weight for most of her life, but at the cost of poor nutritional eating and near starvation. Tragedy struck when she and her husband had 3 miscarriages in the span of a year and a half. Amy fell into a deep depression and turned to fast food and “comfort eating.” Things started to looked up when Amy and her husband decided to seek fertility treatment and within a year were blessed with a baby girl. The joy of finally having a child was soon accompanied by anxiety about being new parents, and Amy’s eating habits and health began to take a turn for the worse. Just before her 40th birthday, Amy found herself completely sedentary and decided to revisit her vegetarian diet. Despite her best efforts, Amy only continued to gain weight. In a desperate search for a cookbook that would work for her, she stumbled upon “Everyday Happy Herbivore” and transformed her life, losing 100 pounds in the following 10 months! Read the full story here. Lindsay’s dad recounts a recent trip where he found himself at a loss for words as he attempted to explain just how much better he felt after switching to a plant-based diet. It was easy for people to see the physical signs of the change due to the 20 pounds he’d lost, but the impact on his life went far beyond a physical level. Even at the age of 67, he found that his quality of life was the best it had been in many years. Read the full story here. 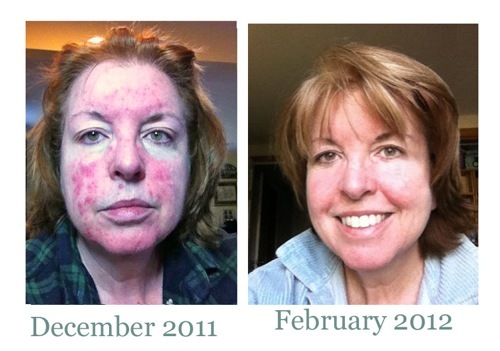 Mary Lou was suffering from several chronic autoimmune diseases: severe rosacea, psoriatic arthritis, for which she had to take to Enbrel injections, and she also dealt with asthma, brain fog, depression, joint pain and chronic fatigue, among other issues. 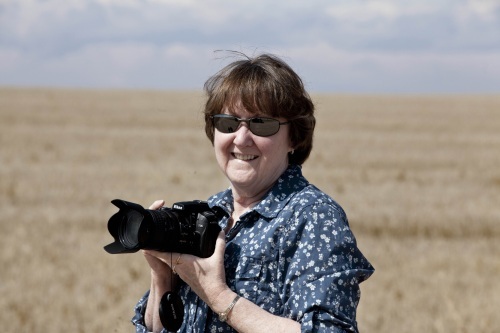 After reading an article claiming that over 40% of the population suffers from non-celiac gluten intolerance and seeing a list of symptoms that mirrored her own, Mary Lou decided to cut gluten from her diet. 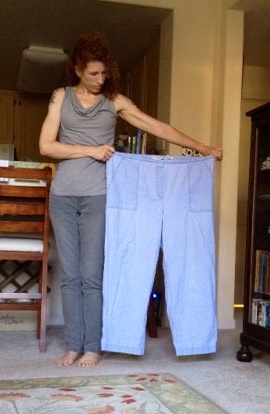 4 weeks on a gluten-free diet and her symptoms were gone! Mary Lou knew that dairy sensitivity and gluten sensitivity usually went hand-in-hand, so she decided to take the plunge and go plant-based. Despite the difficulty of giving up things like ice cream and cheese, she stuck with it and soon felt better than she had in over 20 years. She recovered from ailments she didn’t realize she had been dealing with, and began a whole new way of life. Read the full story here. Brenda began to experience decreased levels of energy, nerve pain, and a progressive foot drop. She visited her doctor for testing and was told she had ALS and didn’t have long to live. Shocked with the news that no one ever wants to hear, Brenda decided to seek a second opinion. Doctor after doctor gave her the same diagnosis and said she was going to die. Brenda had already made a switch to see the benefits of a plant-based diet a few years prior and decided to stick with it and not give up hope. Read the full story here. Adam was always heavier than most of his friends growing up, but despite his weight, he was able to maintain an active lifestyle playing basketball, mountain biking, and other teenage outdoor activities. Things changed in college with his newfound freedom, leaving him less time for an active lifestyle. By the time Adam turned 28, he weighed 290 pounds and had a 44-inch waist size. That same year his wife gave birth to their son, and Adam felt a newfound motivation to get back in shape to enjoy activities with their son. Adam tried low-carb diets, prepackaged weight-loss meals, shakes, and daily exercising, but he wasn’t seeing any results. He talked to his wife and decided to go one week with no meat, no cheese, no oil or processed foods. 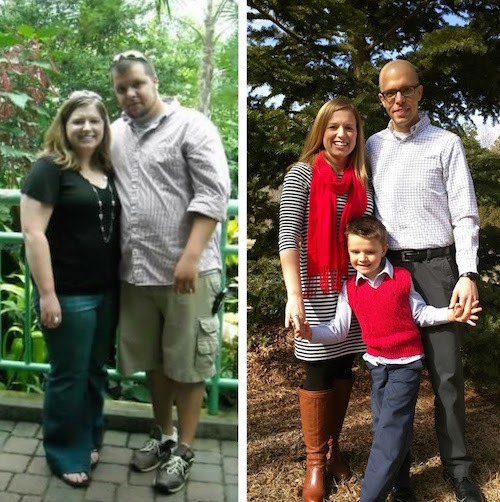 Before long that one week turned into two years and Adam lost an AMAZING 135 pounds! His success also encouraged his wife to adopt a plant-based diet. Read the full story here. Inspired by an Oprah one week vegan challenge, Lisa decided to challenge herself to going two weeks vegan. So impressed by the results, Lisa stuck with the diet and went from size 16 to size 4 in the first year of plant-based living! She recounts that the weight just started falling off. Even after being addicted to fat and sugar for all of her life, she found that when she totally eliminated processed foods, sugar, and oils, she no longer craved them. Lisa found that the incredible weight-loss was only the beginning of her transformation after going plant-based. Read the full story here. For nine long years, Kathy and her husband battled devastating infertility. After many invasive tests, seeing doctors in both Canada and the United States, they were blessed by the birth of their miracle twins. Kathy had already been plant-based for over ten years, but had succumbed to anxiety during her pregnancy that her babies would not be getting the best nutrition. She was quickly overwhelmed by the amount of literature surrounding pregnancy nutrition and sickened by the thought of reverting to an omni diet. She decided to stick with her plant-based diet, knowing it would be the best option for both her and the twins. Read the full story here. After a bout in the hospital, Courtney lost her house and overall footing in life. She was homeless and lost. With no sense of direction, she knew one thing was certain: she was going to maintain her plant-based diet. After being previously abused by people who said they loved her, Courtney recounts that her pets were the ones that had been there for her. She promised them she would no longer eat animal meat. With those strong morals about being vegan, she swore to stick to a plant-based diet, even during her time of homelessness. It was no easy task, but she was able to receive things like carrots, bananas, and juices from the people she stayed with and occasionally pulled peanuts from vending machines. Courtney tells her emotional story, gives her advice on never giving up, staying true to your beliefs, and how she was able to maintain a plant-based diet against all odds. Read the full story here. Tracy tells the story of her 43-year-old mother, Denise, who was put into a nursing home due to complications from multiple sclerosis. After attempting to transition Tracy to a vegetarian, her health continued to decline to a point that she was having up to 20 seizures a day and needed constant monitoring. Tracy decided to move Denise back home to take care of her and began preparing pureed foods using fresh fruit, vegetables, and whole grains. 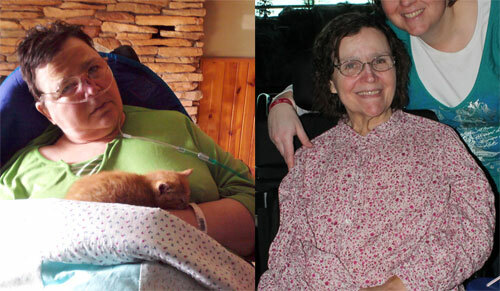 Within the first year of being plant-based, Tracy saw a miraculous improvement in her mother’s health. The extra weight was coming off, oxygen dependence was eliminated, her BiPAP went away, and her list of daily medications was shrinking! Read the full story here. 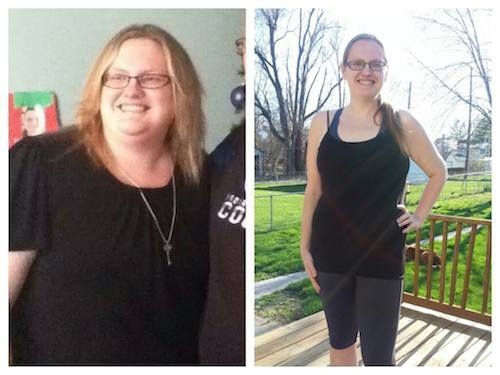 Kristie was nearly 300 pounds when her mother died of colon cancer. Her mother’s passing left her devastated, depressed, and grappling with the fact that she could be headed down the same path if she didn’t make a change. One day while she was laying down crying, she heard a voice say, "If you don't want to be fat, do something about that!" That same day she googled plant-based diets and decided to give it a try. The first 30 days were the hardest, but was she able to stay on the wagon. 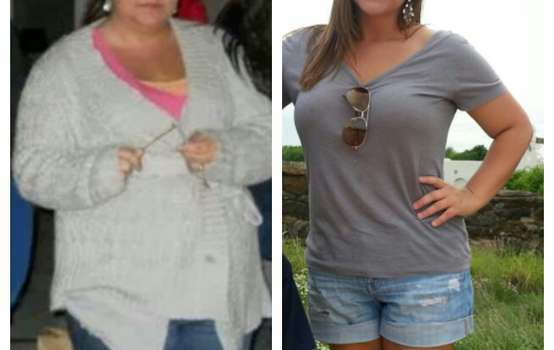 To her amazement, after just a month she’d already lost 16.5 pounds and found that she had actually begun to enjoy the plant-based recipes she was making. With her dedication, the results kept coming! Read the full story here. 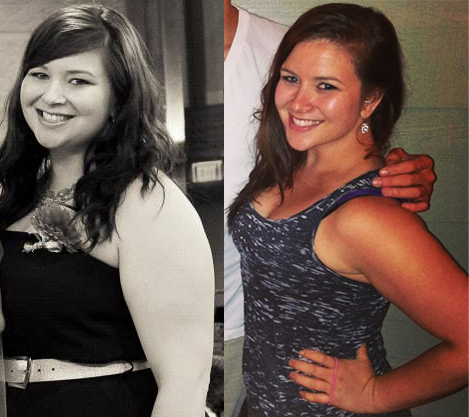 Rebecca’s story started in college where her freshman 15 had turned into 50 by the time she had graduated. Years had passed and the weight still wasn’t coming off. She had started to experience mood swings and depression, so she quickly visited her doctor who prescribed her antidepressants and sent her on her way. The medication offered her little relief, and even after adopting a vegetarian diet the weight just wasn’t coming off. Rebecca continued pressing on and came across the Happy Herbivore website. She was instantly in awe of Lindsay’s perseverance and came to the realization that she was putting too much focus on material happiness. She began a process of decluttering, letting go of material baggage, and focusing on the journey, not just the destination. Read the full story here. 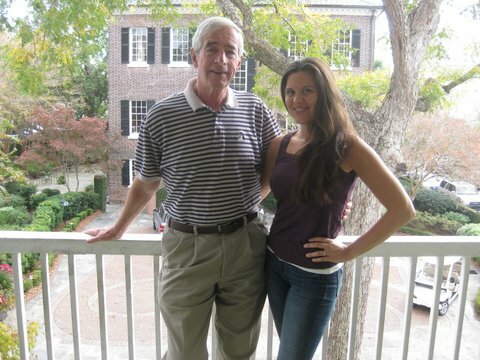 Growing up, Sarah watched her father struggle with obesity. No matter what he tried, he wasn't able to maintain any weight loss. At age 24 she was pulled aside at work for the shocking news that her father had suffered a massive heart attack and had passed. Sarah’s world was rocked by her father’s death. It gave her a wake-up call: if she continued to follow the path he had been on, she was already halfway through her life. It took 2 years, but Sarah finally made a change. A fellow nurse practitioner at the hospital where she worked recommended she try a plant-based diet. "For someone with your family history, it's the best thing you could do for yourself." The idea finally clicked. 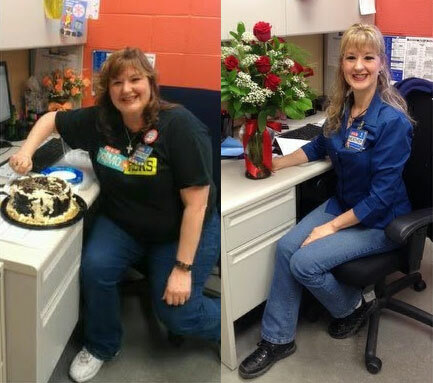 Months later, Sarah had already shed 116 pounds and was feeling better than she’d felt in years! Read the full story here.